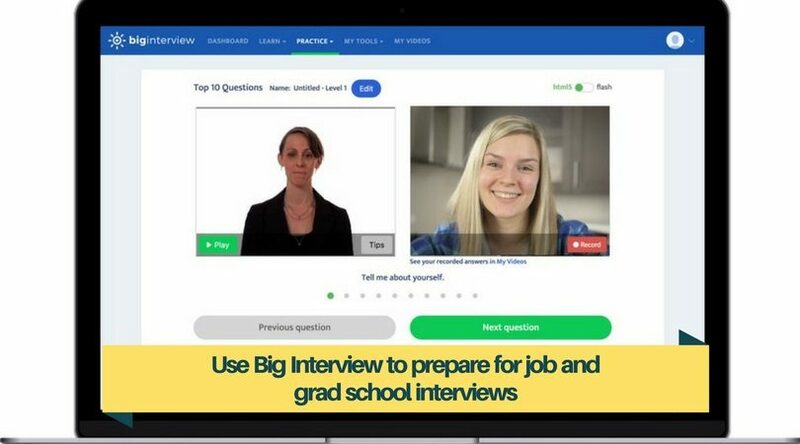 Big Interview helps students and job-seekers prepare for job and graduate school interviews by creating a no-pressure environment to practice and review their skills. Visit and register a new account at jessup.biginterview.com. You must use your jessup.edu email address to set up the account. Need help? Click the green Support tab at the bottom of the Registration page. Choose from a variety of industries and careers to find interview questions to help you practice and prepare for interview success. Use the camera on your PC/Mac, or check one out from the Library Circulation Desk.